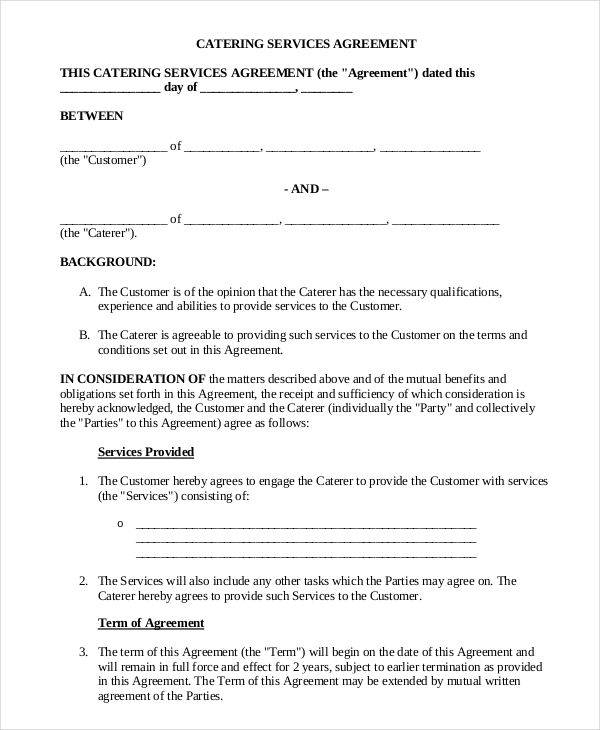 A catering contract is a contract agreement that is created by a catering service supplier. 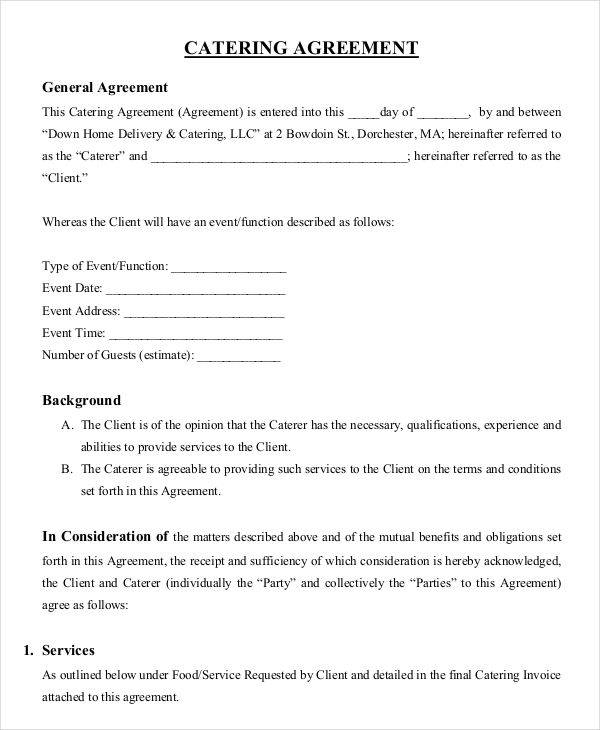 This specific kind of contract contains all the things that are involved in the catering transaction to assure the smooth flow of the catering processes within the duration of the event where the services of the catering business has been acquired by a client. 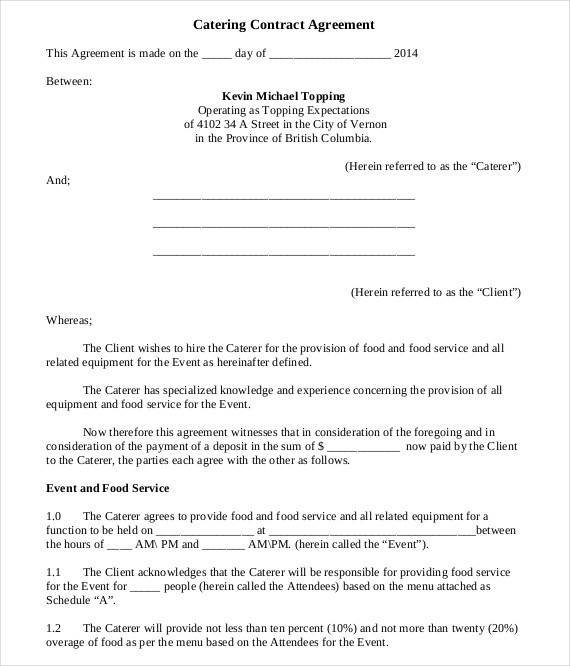 This post contains different kinds of catering contract templates, samples, and formats that you may use as references in creating the particular catering contract that your business may use. 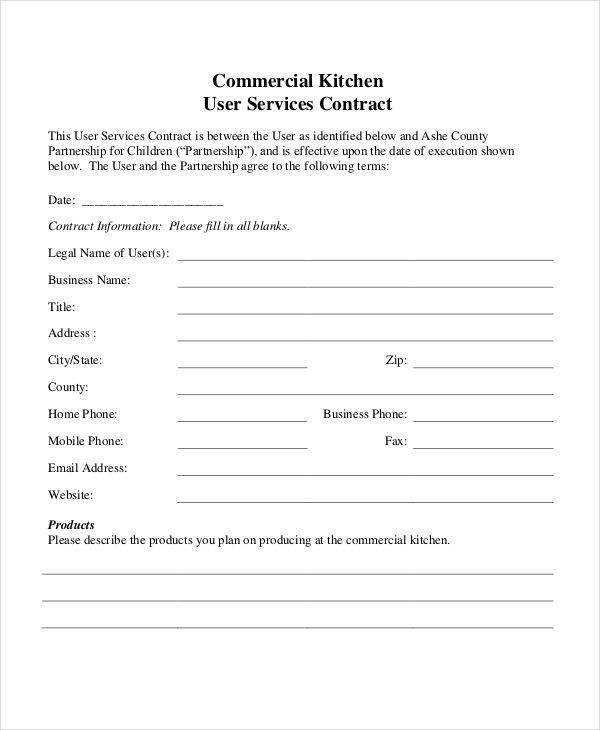 You may apply the concept of free contract in creating a catering contract document by supplying the kind of agreements that you would like to have with your clients. 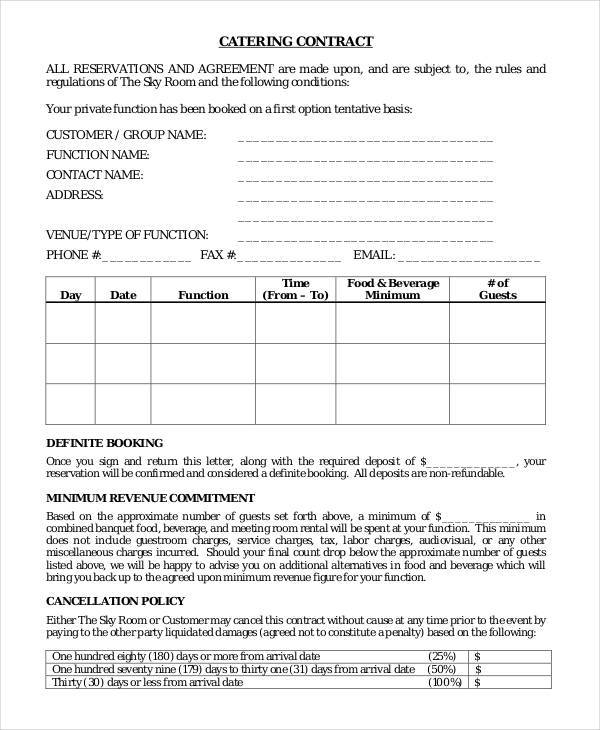 Identify the event where the catering contract will be used. Knowing the specific event where you will provide your catering services can help you to be guided in the proper catering needs that you can supply to your client. 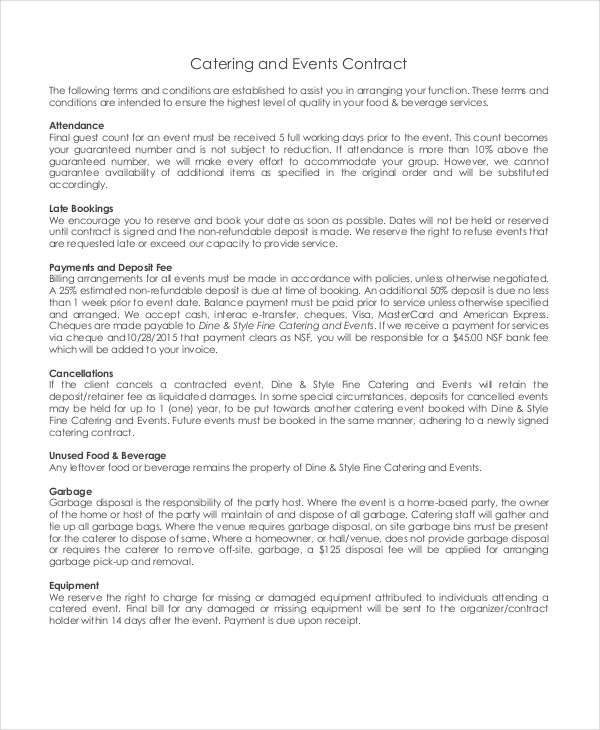 As an example, a catering contract can already be a part of a wedding contract agreement or it can also be given by an independent catering supplier. Make sure that the food content of the catering contract that you will create is based on the real menu of your business. Do not provide items that you cannot deliver. Assure that the price of your catering services are updated and is competitive enough when compared to other pricing of your competitors. 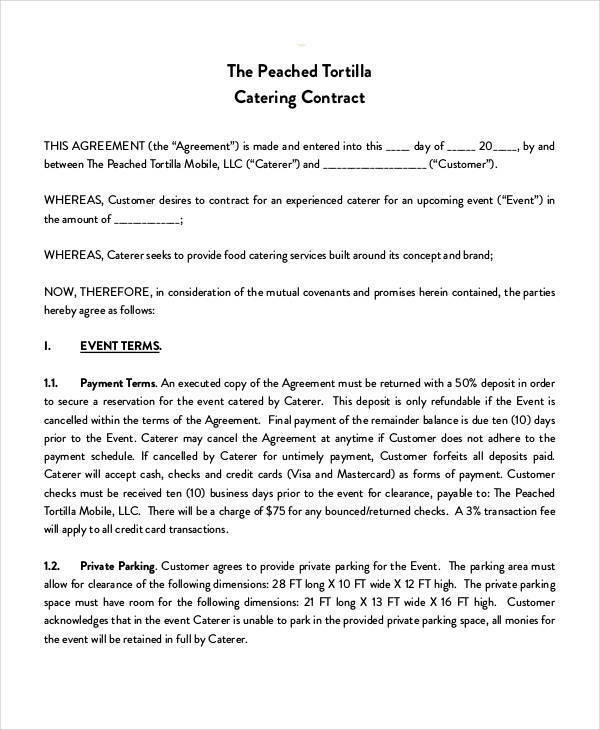 Identify the items that are already a part of the contract. 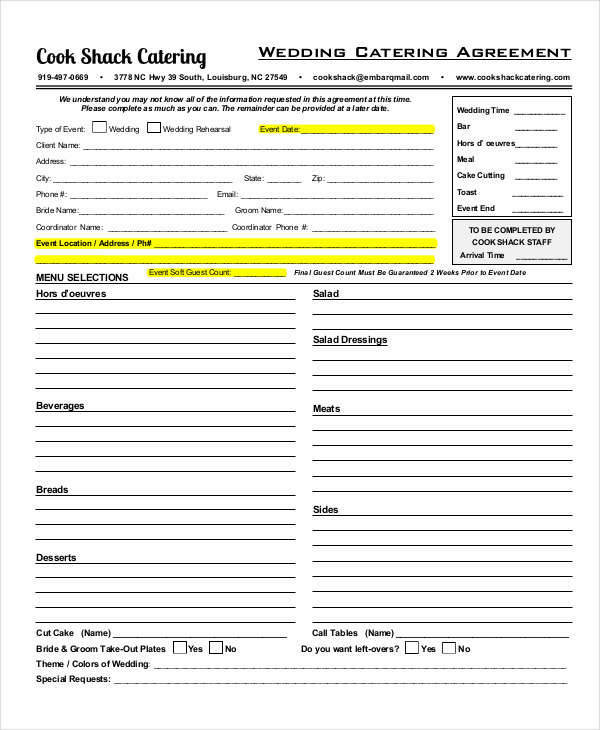 More so, you may add information about the other services that your client may get on top of the contract that they will sign. 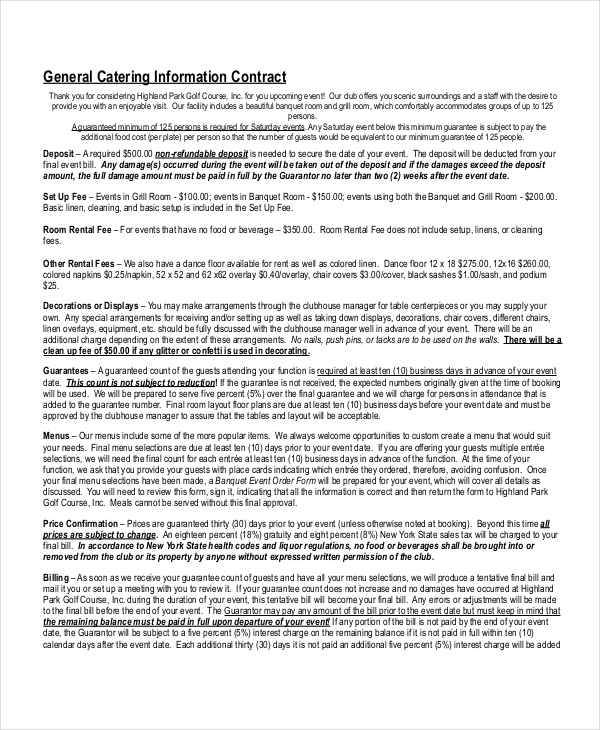 Be organized in plotting all the items involved in the catering contract. 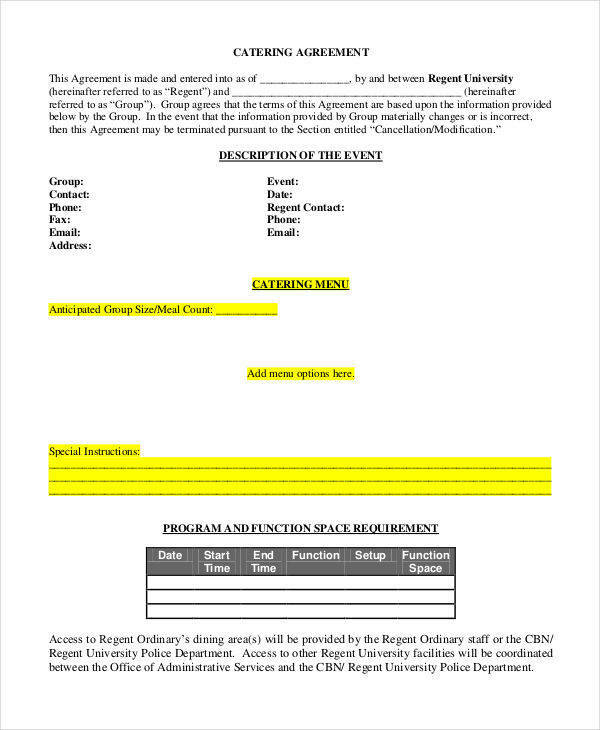 Make your contract content easy to understand. 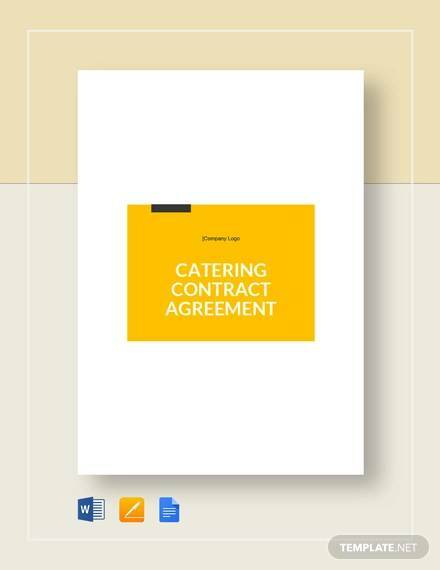 You may follow these guidelines so you can create an effective catering contract that can help you to have a great start with your professional relationship with a client.